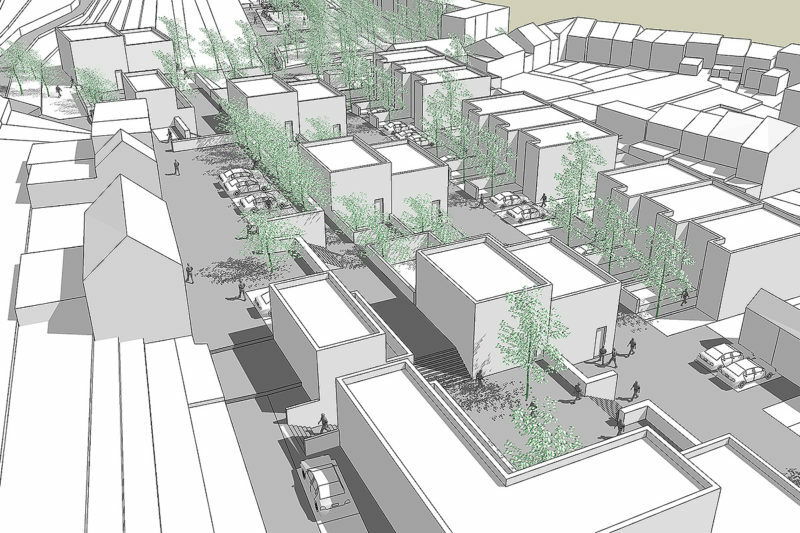 The project involves the creation of a layout plan defining public, semi-public and private spaces and the typology of dwellings on the Nesto Michel site. 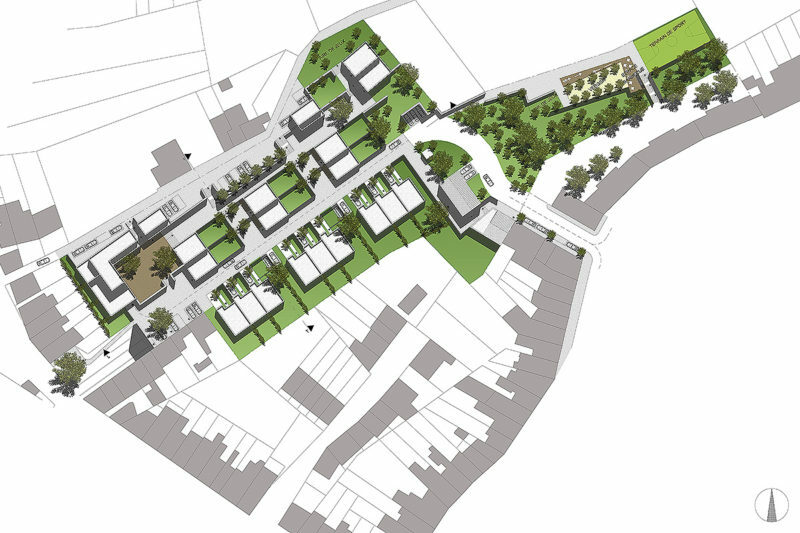 The site is located in a residential district characterised by a dense urban fabric close to the city centre. The site is southwest-facing and benefits from ideal sunlight. The urban units, comprising three and four-storey volumes, are being cleared to leave room for green spaces and planted areas to the rear. To maintain the continuity of the existing typology, the project contains plans for the creation of 35 dwellings of various types to ensure social mixity. Single-family houses, most of them designed with a small front garden and also a private back garden, offer an updated interpretation of a typological model and district hallmark. The layout plan also provides for a vast relaxation space consisting of a planted area, a playground, the arrangement of a dolomite-covered surface for pétanque (French bowls) and a grass sports field as well as a barbecue area. 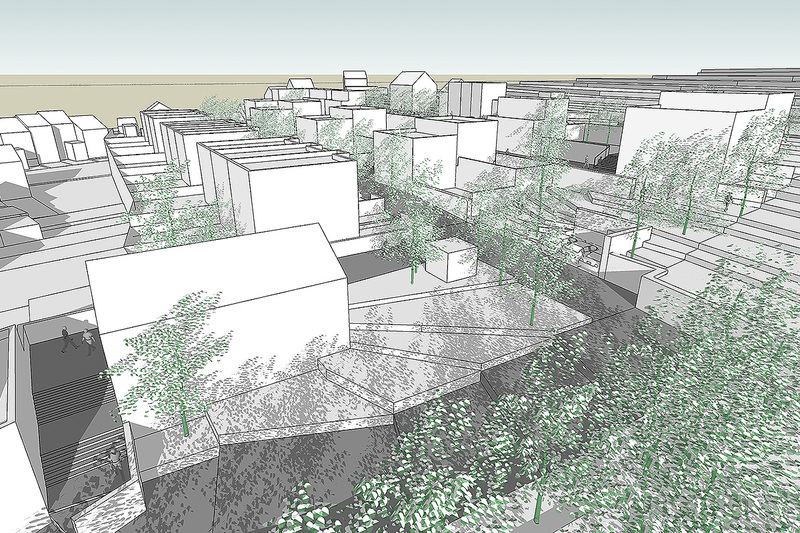 The project integrates perfectly within the site’s topography, which features considerable differences in height. To ensure this integration, a central plateau is being created. Several intermediate pedestrian walkways link the lower and upper areas and offer pleasant strolls in the heart of the domain while providing access to the future dwellings; they also extend the existing pedestrian accesses to the rest of the domain as far as the green spaces and the playground.